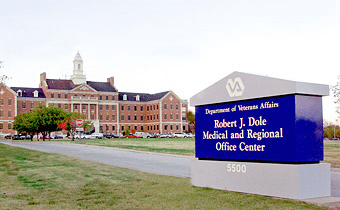 This week community members can salute soldiers at the Dole VA Medical Center. Community partners from Wichita and across the state have events planned throughout the week, including a Bingo night, a visit from former NFL players, and musical performances. The events are to both salute the sacrifice of veterans and encourage community members to become involved as volunteers. “This is such a fun week to plan for our inpatient Veterans as an opportunity to be creative and think outside the box,” said Eva Gergely, Voluntary Service Chief. “This week also allows us to work with our community partners to bring different activities to the Veterans that aren’t able to leave the facility because of their medical conditions.” A full calendar of events is listed below.